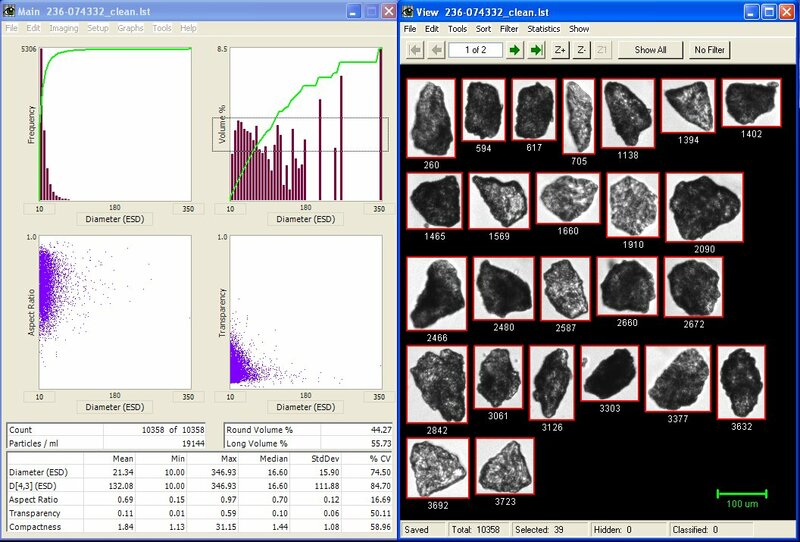 The FlowCAM® imaging particle analyzer is a valuable tool for analyzing particles that are in drug suspensions, e.g. microcapsules and aggregates, during processes of research and development in the drug industry. The FlowCAM provides precise size measurement and morphological examination of biological material and compounds in drug solutions at different stages of the development process, making it an important tool for stability and shelf-life tests, drug safety, optimization of formulations and their application. At the manufacturing level, the FlowCAM provides continuous monitoring of the production process, allowing efficient “online” quality control. 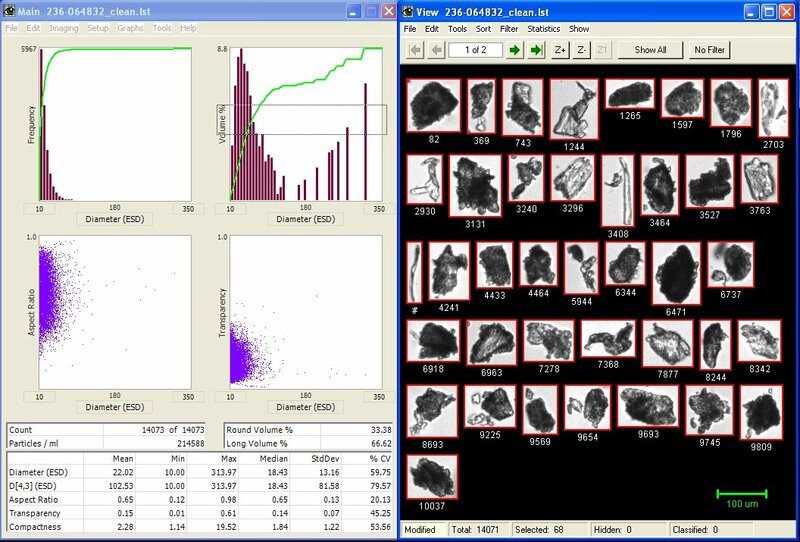 With industry-leading image quality combined with automated statistical pattern recognition software, the FlowCAM imaging particle analysis system allows you to simultaneously count and classify particles in your sample – and provides you with the critical data you need to ensure product safety. Using the FlowCAM in-flow particle analysis system overcomes the limitation of particle counters, while giving additional particle information typically only found by using microscopy. Quantification and characterization of protein aggregates: FlowCAM represents a powerful tool with unique features for detecting, counting, and characterizing protein aggregates and other particles in parenteral drug formulations. 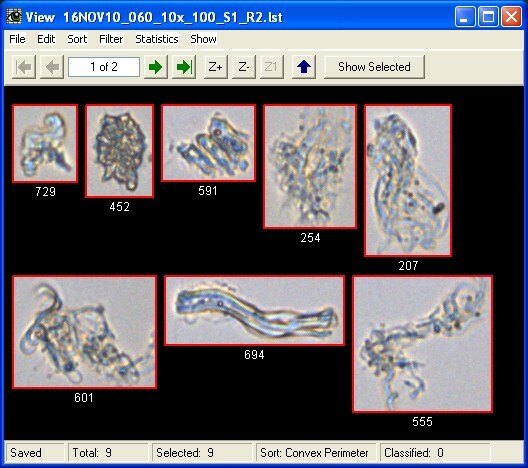 Microencapsulation formulation and quality control: Using FlowCAM, you can gain unique insights into the microencapsulation process because you can dynamically monitor capsule formation over time. Many reports have shown the impact that aggregates and other particles have on the efficacy, safety, and immunogenicity of protein therapeutics. FDA regulations strongly recommend in-depth characterization of sub-visible particles in protein therapeutics. New recommendations are specifically targeted at the characterization of sub-visible particles in the 2 to 10 µm range. While designed for the analysis of particulates in fluids, the FlowCAM is also very useful for analysis of particulates that are dry in their native state. Simply suspend the dry particles in any liquid that is inert to the particles under study. There are many benefits to using this approach compared to traditional dry particle analysis method because the effects of static electricity on the particles is eliminated. Plus any gravitational effects found in dry analyzers are eliminated. In the example below, is a comparison between two samples of resuspended sorbitol powder, of different homogeneity and quality.